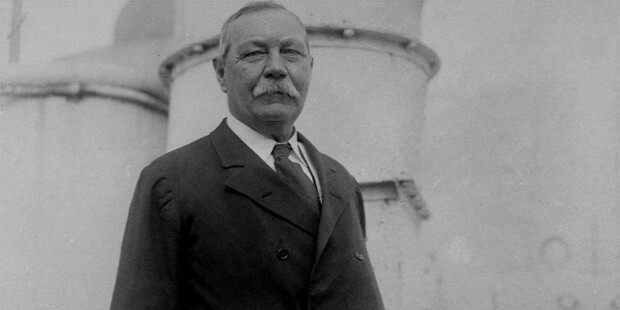 Sir Arthur Conan Doyle was a surgeon and was most renowned as a highly popular fiction author. 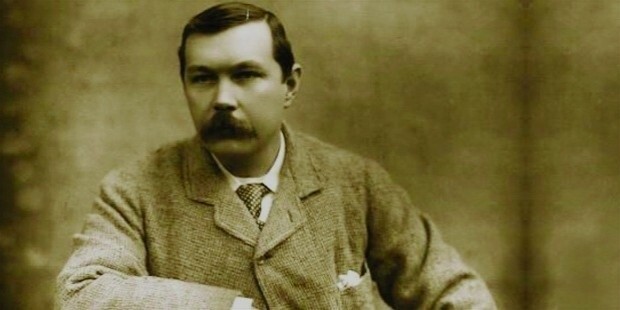 He is best-known for creating the legendary fictional detective Sherlock Holmes and writing fiction stories about the freelancing genius detective’s exploits in solving criminal cases using a unique method of deduction using forensics. Sir Doyle is also known for his other works that included various science fiction short-stories, plays, poetry, historical novels, non-fiction writings and romance novels as well. 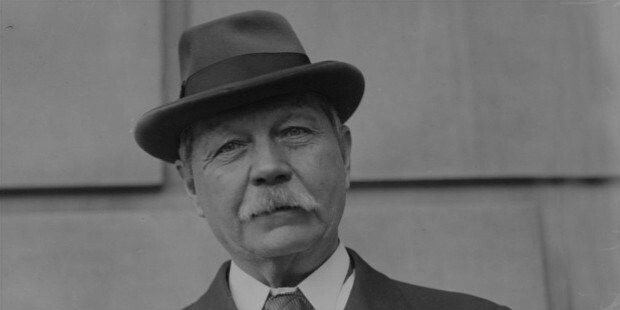 Arthur Ignatius Conan Doyle was born on 22nd May 1859 in Edinburgh, Scotland. Charles Altamont Doyle and Mary Doyle were his parents. From 1868 to 1870, Arthur attended the Jesuit Preparatory School in Stonyhurst, at the age of 9 years. From 1871 to 1875, Arthur attended the Stonyhurst College. Later on, from 1875 to 1876, Arthur went to the Jesuit School of Stella Matutina in Feldkirch, Austria. 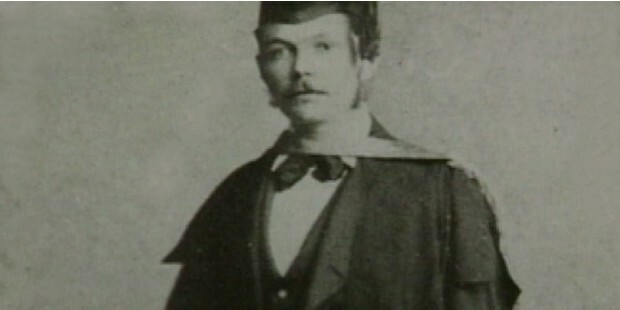 From 1876 to 1881, Arthur attended the University of Edinburgh Medical School to study medicine. He also used to work part-time in Aston, Sheffield, and Shropshire in his free time. He also began studying practical botany at the same time at the Royal Botanic Garden in Edinburgh. As he was studying, Arthur started to write some fictional short-stories, the first being “The Haunted Grange of Goresthorpe”, which went unpublished. In September of 1879, the Chamber’s Edinburgh Journal printed Arthur’s first ever publication, the South African-themed “The Mystery of Sasassa Valley”. 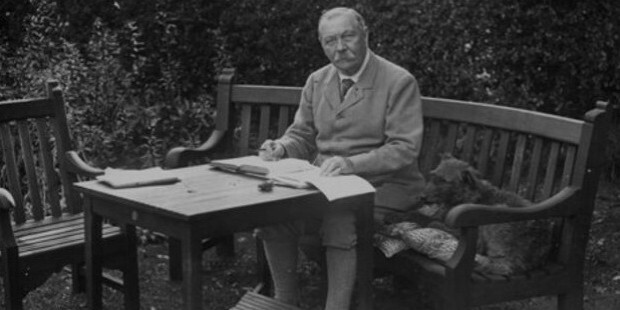 The very next day, Arthur also published his first academic article, “Gelsemium as Poison”, which was printed in the British Medical Journal. In 1880, Arthur became a doctor aboard the whale-hunting ship from Greenland, Hope of Peterhead. In 1881, after graduating as M. B.. C. M., Arthur was selected to be the ship surgeon aboard the SS Mayumba on its voyage to the West African coastland. In 1882, Arthur started a medical practice with former medical schoolmate George Turnavine Budd in Plymouth, but the partnership did not last long and Arthur went on to open up his own medical practice at Elm Grove in Southsea. This is when Arthur started writing more of fiction while waiting for the sporadic patients that used to consult him. In 1885, he earned his M. D. degree on the subject of tabes dorsalis. 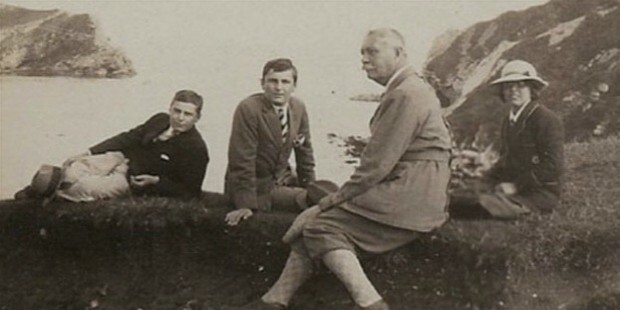 In 1890, Arthur moved to Vienna to study ophthalmology. He soon moved to London and opened up an ophthalmology practice at Upper Wimpole. 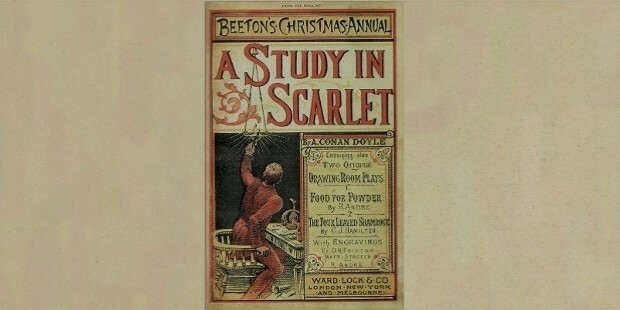 Arthur initially found it quite difficult to get a publisher for his fiction work featuring Sherlock Holmes and Dr. Watson in A Study in Scarlet.In November of 1886, Ward Lock & Co. finally published the story a year later (in 1887) in the Beeton’s Christmas Annual and was critically acclaimed by The Scotsman and Glasgow Herald as well. Sherlock Holmes, the genius and legendary fiction detective, was long rumored to have been based on Arthur’s former medical university teacher Joseph Bell who inspired him with his method of deduction and inference based on acute observation immensely. Arthur is said to have confirmed this assumption in 1892 when he mentioned this in a letter to his teacher as well as remarking on it in his autobiography in 1924. In February of 1890, Arthur published the sequel to A Study in Scarlet, titled The Sign of Four, which was also published by Ward Lock & Co. in the Lippincott’s Magazine. 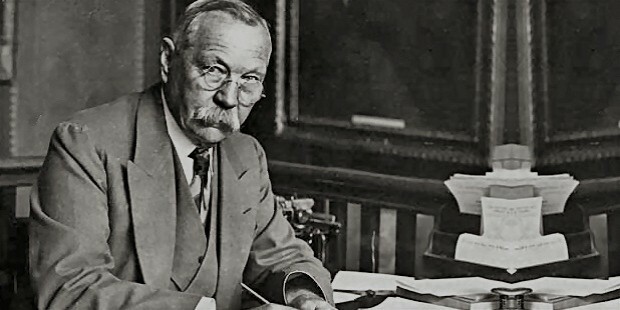 Arthur soon left the publishers due to differences of opinion and began writing his first five Sherlock Holmes short stories which were published in the Strand Magazine. Although soon after (around 1891) Arthur felt that the hype around Sherlock Holmes was keeping him from more important work in his view but Sherlock Holmes soon became a sensation across Great Britain as well as around the world and Arthur became the highest paid author of his time. In 1893, Arthur finally decided to finish Sherlock Holmes and wrote his death from falling into a chasm in the Reichenbach Falls with his arch-nemesis Professor Moriarty in The Final Problem. However, the public outrage was unprecedented, and in 1901 Arthur reanimated his famous fictional detective in The Hound of Baskervilles novel which went on to become one of the greatest hits. In 1903, after a hiatus of 10 years, Arthur published another Sherlock Holmes short story, titled The Adventure of the Empty House which also explained how he survived the fall that led to his presumed death. 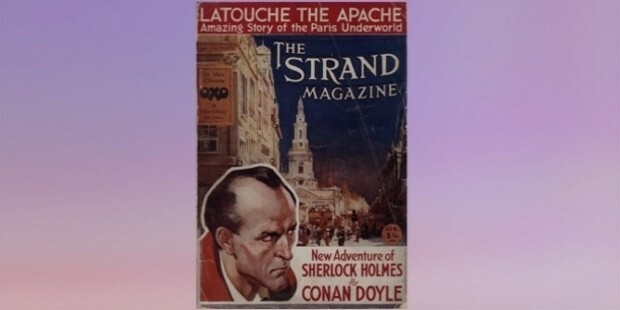 Arthur published around 56 Sherlock Holmes short stories right up till 1927, as well as 4 novels. 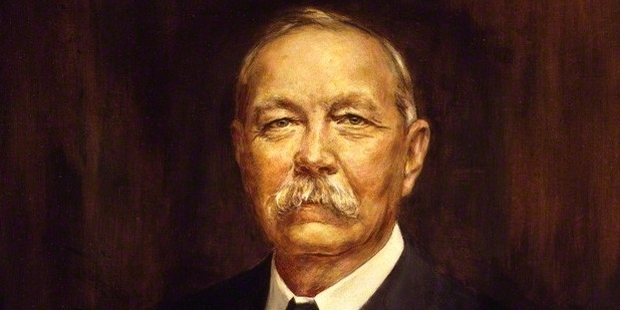 Arthur’s other works include The Mystery of Cloomber, unpublished till 1888 as well as the incomplete Narrative of John Smith which was finally published in 2011. His short stories included “The Captain of the Pole-Star” and “J Habakuk Jephson’s Statement”, both maritime fictional works. 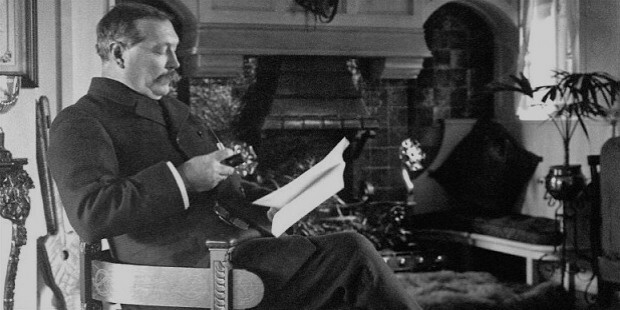 From 1888 to 1906, Arthur wrote 7 historical novels, which are also regarded as his best till date. He was also the author of 9 other novels from 1912 to 1929, 5 stories. 2 novel-length stories, which featured another famous fiction character of Arthur’s, called Professor Challenger in The Lost World series. In 1885, Arthur married Mary Louise “Touie” Hawkins of Gloucestershire. The couple had 2 children from the marriage, Mary Louise (born January 1889) and Arthur Alleyne Kingsley (born November 1892) before his wife died of tuberculosis in July of 1906. In 1907, Arthur married Jean Elizabeth Leckie and the couple had 3 children – Denis Percy Stewart (born March 1909), Adrian Malcolm (born November 1910) and Jean Lena Annette (born December 1912). 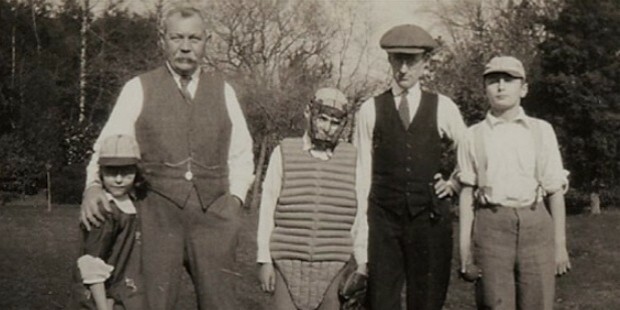 In July of 1930, Arthur died of a heart attack in his house in East Sussex, at the age of 71 years.